I currently have three OSes installed on my 2017 MacBook Air: macOS, Ubuntu, and Windows 10. I couldn't boot into Ubuntu without rEFInd, but I strongly prefer the default boot manager, because I want to use the firmware password (which rEFInd doesn't have). Is there any way for the macOS boot manager to recognize Ubuntu without using a third-party boot manager? I don't want Ubuntu set as my default OS as an alternative. I just want it to appear in the boot menu. I don't mind if it just goes into GRUB. As long as it somehow can load the kernel, it's fine. The output from the command diskutil list. This second answer differs from my first answer in the following ways. The second EFI partition is replaced by a HFS+ partition. The label displayed in the Startup Manager will be "Ubuntu" instead of the generic "EFI Boot". You have install Ubuntu to use the EFI boot method. Grub boots from the EFI partition. There is only one EFI partition. The EFI partition is the first partition on the Disk. There is only one disk involved and the disk is internal. rEFInd is installed in the EFI partition. I will offer two ways to solve your problem. Each has it pros and cons. The Mac Startup Manager will display an operating system if you place the .efi file in the right location. This location is the System/Library/CoreServices folder of the volume in a HFS+ partition. The file name must be boot.efi. Furthermore, you can customize the icon displayed for the operating system by placing a .VolumeIcon.icns file in the root folder of the volume in the HFS+ partition. Note: Here, rEFInd is still being used, but not as a replacement for the Startup Manager. You will be able to use a firmware password. In fact, no rEFInd menus are displayed. The rEFInd boot manager just silently boots grub (which boots Ubuntu). Download rEFInd from this SourceForge website. I assume the downloaded file is named refind-bin-0.11.2.zip and this file was downloaded to your ~/Downloads folder. Create a new HFS+ partition. Instructions are given in the section "Adding a HFS+ Partition". Mount the new HFS+ partition, by entering the following command. The new HFS+ partition will have the volume name Ubuntu. Install rEFInd into the volume on the new HFS+ partition. In this volume, edit the System/Library/CoreServices/refind.conf file to silently boot grub (which will intern boot Ubuntu). This can be accomplished by adding the following lines to the end of the refind.conf file. You should be able to just cut and paste these lines. 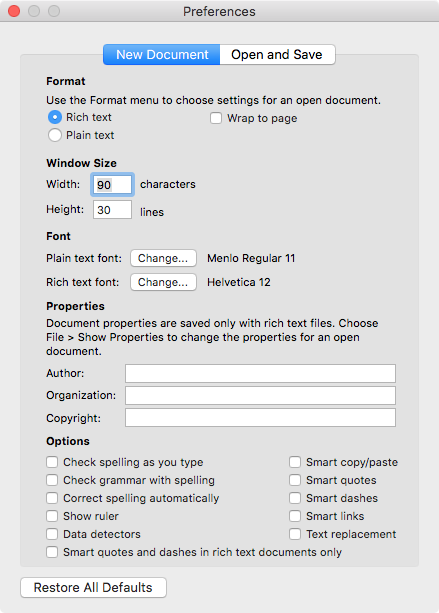 When finished, save the changes, then quit TextEdit. Unmount the new volume named Ubuntu, by entering the following commands. Pros: Ubuntu is unaffected, so any Ubuntu updates will not require attention. Cons: You need to use the third party boot manager rEFInd. Mount the original EFI partition and the new HFS+ partition, by entering the following commands. The original EFI partition will have the name EFI and the new HFS+ partition will have the name Ubuntu. In the new volume named Ubuntu, create the folders EFI/ubuntu and System/Library/CoreServices, by entering the following commands. Copy the files grub.cfg and grubx64.efi to the new volume named Ubuntu. The commands needed are given below. Unmount the original EFI partition and the new HFS+ partition, by entering the following commands. Pros: You do not need to use the third party boot manager rEFInd. Cons: If the grubx64.efi or grub.cfg is updated, you have to manually copy these files to new volume named Ubuntu. The steps below will add the following Ubuntu icon to the Startup Menu. Download a collection of icons from the sourceforge web site Mac icns. Use the Finder application to open the downloaded file mac-icns.dmg. I assume this file downloaded to your ~/Downloads folder. Mount the volume named Ubuntu by entering the following command. Use the Finder application to copy the os_ubuntu.icns icon file to the root folder of the volume named Ubuntu. Alternatively, you can use the command shown below. Rename the os_ubuntu.icns icon file to .VolumeIcon.icns. This can be accomplished by entering the following command. Note: Files starting with a period (.) do not normally appear in a Finder application window. Use the Finder application to eject the EFI System partition with the volume name Ubuntu. Alternatively, you can use the command shown below to unmount the volume. Use the Finder application to eject the volume named mac-icns. Note: Below is based on the output from diskutil list that you provided in your question. Enter the command below in a Terminal application window. The will create a "Mac OS Extended" volume named "Ubuntu" in a new partition. Get the volume UUID for the volume named "Ubuntu" by entering the command below. diskutil info Ubuntu | grep "Volume UUID"
The output should be similar to what is shown below. Next, prevent this new volume name "Ubuntu" from automatically mounting, by entering the following commands. Substitute your UUID for the one shown below. Note: The correct way, to edit the /etc/fstab file, is to use the command sudo vifs. Using the echo command is just a quick shortcut. Use the Finder application to eject this new volume. Alternatively, you can enter the command shown below to unmount this volume. If you need me to expand on any of the above steps, let me know. My second answer differs from this answer in the following ways. In the second answer, the second EFI partition is replaced by a HFS+ partition. This type of partition is easier to create and modify. In the second answer, the label displayed in the Startup Manager will be "Ubuntu" instead of the generic "EFI Boot". I will give two way to solve your problem. Each has it pros and cons. The Mac Startup Manager will display an operating system if you place the .efi file in the right location. This location is the EFI/boot folder of the volume in a EFI partition. The file name must be bootx64.efi. Furthermore, you can customize the icon displayed for the operating system by placing a .VolumeIcon.icns file in the root folder of the volume in the EFI partition. Download rEFInd from this SourceForge website. I assume the downloaded file is named refund-bin-0.11.2.zip and this file was downloaded to your ~/Downloads folder. Create a new EFI partition. Instructions are given in the section "Adding a EFI Partition". Download the rEFInd Boot Manager software from this SourceForge web site. Install rEFInd into the volume on the new EFI partition. Unmount and mount the new EFI partition, by entering the following commands. The new EFI partition will have the volume name EFI2. In this volume, edit the EFI/BOOT/refind.conf file to silently boot grub (which will intern boot Ubuntu). This can be accomplished by adding the following lines to the end of the refind.conf file. You should be able to just cut and paste these lines. When finished, save the changes, then quit TextEdit. Unmount the new volume named EFI2. Mount the original and new EFI partitions, by entering the following commands. The original EFI partition will have the name EFI and the new EFI partition will have the name EFI2. In the new volume named EFI2, create the folders EFI/ubuntu and EFI/boot, by entering the following commands. Copy the files grub.cfg and grubx64.efi to the new volume named EFI2. The commands needed are given below. Cons: If the grubx64.efi or grub.cfg is updated, you have to manually copy these files to new volume named EFI2. Mount the volume named EFI2 by entering the following command. Use the Finder application to copy the os_ubuntu.icns icon file to the root folder of the volume named EFI2. Alternatively, you can use the command shown below. Use the Finder application to eject the EFI System partition with the volume name EFI2. Alternatively, you can use the command shown below to unmount the volume. While booted to macOS, enter the commands below in a Terminal application window. Not the answer you're looking for? Browse other questions tagged macos macbook boot unix startup .